A frenetic final thirty minutes has seen big names Dylan Shiel and Dayne Beams get to Essendon and Collingwood respectively in the 2018 AFL trade period, but Tim Kelly will remain at Geelong next year after the Cats and Eagles failed to broker a deal before the deadline. After a lengthy stand-off Essendon eventually gave in to GWS’ demands and traded two first-round picks to the Giants for Shiel: pick 9 this year, and Essendon’s 2019 first-round pick. However, the Dons did get a little something back in the deal, with the Giants sending their 2019 second-round pick to the Bombers alongside Shiel. 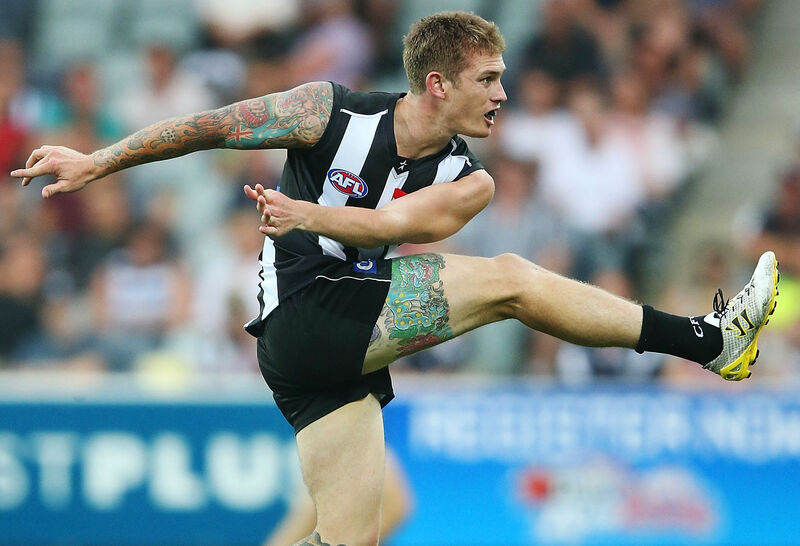 Brisbane received two first-round picks from Collingwood in return for Beams’ departure – pick 18 this year, and Collingwood’s first-round selection in 2019. The Lions also got pick 56 in the deal, and gave picks 41 and 44 to Collingwood. 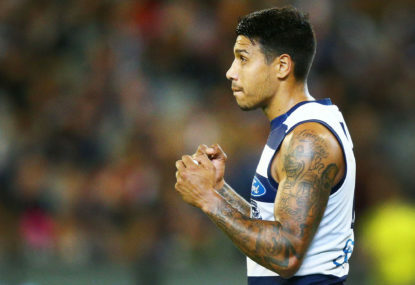 Tim Kelly however will have no choice but to see out his contract with the Geelong Cats in 2019 after talks between Geelong and West Coast broke down with only minutes to go. West Coast reportedly upped their offer to include picks 20 and 22 this year as well as their 2019 second-round pick, but the Cats refused to blink on their demand that the deal include a 2019 first-round selection. There were late rumblings that Fremantle were willing to offer pick 14 for Kelly if he would agree to join the Dockers, but nothing ultimately came of this. Some of the less-discussed names of the trade period also saw their moves finalised in the final minutes. Marcus Adams got his wish to join the Brisbane Lions with just half an hour left on the clock, as the Lions shipped pick 32 and a 2019 third-rounder originally belonging to the Gold Coast Suns to Whitten Oval to get the deal done. Meanwhile, Jordan Roughead joined Collingwood from the Western Bulldogs for the low price of pick 75, and Travis Colyer was traded from Essendon to Fremantle for a future fourth-round pick. Nic Newman joined Carlton from Sydney for the same price. The day opened with a trade which saw Chad Wingard and Ryan Burton change places – Wingard moving to Hawthorn, and Burton returning home to play for his childhood club Port Adelaide. The Hawks traded picks 15 and 35 along with the 2019 fourth-rounder they took from the Bulldogs for Taylor Duryea to Port along with Burton to get their man, and acquired Port’s 2019 third-rounder back the other way. Only moments later Port pushed through another deal with the Brisbane Lions which saw them bring in a former top-ten pick in Sam Mayes and upgrade pick 6 to pick 5, passing on pick 35 and the 2019 third-round pick they received from Fremantle earlier in the trade period to the Lions. Shortly afterwards Brisbane completed a pick swap with Gold Coast which then set them up to bring Lachie Neale into the club. The Lions gave their 2019 first-round pick to Gold Coast in order to gain pick 19 this year, and Gold Coast’s 2019 second-round selection, as well as Hawthorn’s 2019 third-round selection. Brisbane were then able to move picks 6 and 19 from those deals, as well as pick 55, to the Fremantle Dockers in exchange for Lachie Neale and pick 30. As had been forecast from a long while out, the Neale deal proved to be a domino kicking off a flurry of trade movement. Having finally made the decision to move on Neale, Fremantle fired off a series of quick shots from the hip which saw them land both Jesse Hogan and Rory Lobb in the space of about five minutes. The Dockers gave picks 6 and 23 to Melbourne in order to land Jesse Hogan and got pick 65 back the other way with him, then moved picks 11 and 19 to GWS to get Lobb, 14, 43 and 47 back. Notably the Dockers confirmed via their website that they have signed Hogan to only a three-year contract, after talk earlier in the week that Hogan’s management had requested an eight-year, $8 million contract. Melbourne then moved that pick 6 on over to the Gold Coast Suns in a relatively uncomplicated swap for Steven May and Kade Kolodjashnij. The Demons were also able to move up the draft order by passing on picks 36 and 46 to St Kilda in exchange for pick 28, giving them two picks in the top 30. The Suns had a May replacement lined up ready to go: shortly after they brought Jack Hombsch into the club for the low cost of a 2019 fourth-round pick, originally belonging to the Adelaide Crows. They finish this stage of the trade period holding three of the first six picks in the draft: 2, 3 and 6. With that row of dominoes having fallen to completion, the activity quickly slowed as deals for the remaining big names on the table dragged on late into the night. North Melbourne completed a minor pick swap with Fremantle in that time giving them pick 31 for picks 47, 49 and 55 in that time, while the Sydney Swans brought threw us a minor curveball bringing in Jackson Thurlow for the low cost of pick 70.